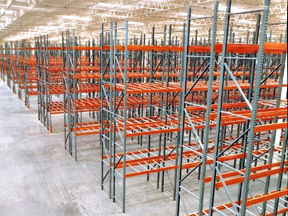 Selective Pallet Racking is the most commonly found rack system in facilities today. Its straight forward design allows for direct and immediate access to every pallet load, with minimal load and unloading times. Unlike other high-density rack systems, there is no need to move other pallets to get to the one you need, as every position is a one pallet position. This first in first out type of pallet rack system is ideal when you have a large variety of product needing to be stored, as it offers the highest level of selectivity possible. For product lines that have high differentiation and low turnover, this type of racking is ideal. 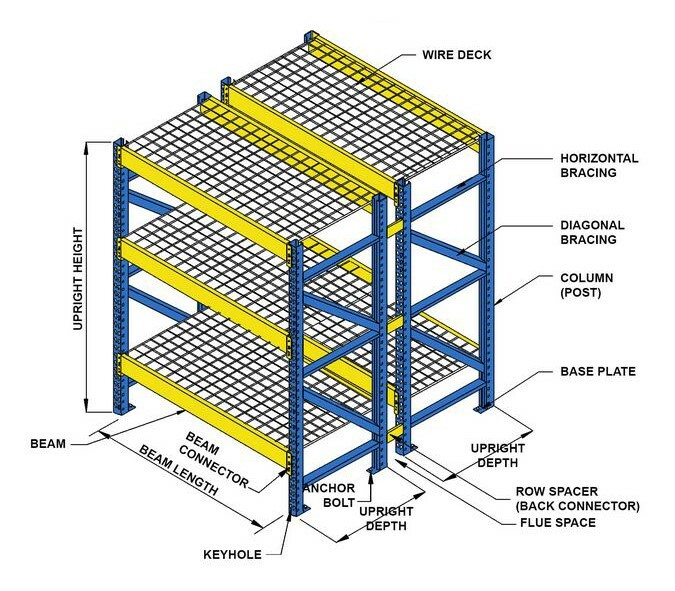 Selective rack is available in two styles, roll formed steel and structural steel. Roll formed is the most commonly used form for most warehouses and distribution centers, as it is least expensive option, and most of the time meets weight capacity needs. 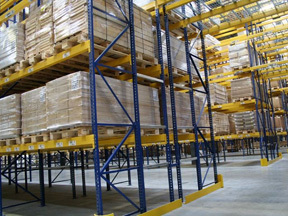 Selective pallet racking is constructed with uprights and beams, with crossbars added, if necessary, for pallet storage. Depending on what type of pallets you are using, and whether you are storing cartons or both full and partial pallet loads, wire decking is available to help provide stability and prevent pallet loads and other goods from falling through the rack beam levels. Selective pallet rack can be placed against a wall, or in rows back to back. 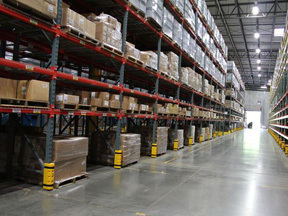 The size and weight of your pallet loads, forklift and pallet jack dimensions and usable warehouse height, are all factors that need to be taken into consideration when determining the width of the aisles and height of your pallet racking system. The most common bay size is 96”wide by 48” deep. It is also equally, if not more important, to determine the average weight of the pallet loads needing to be stored, so that the weight capacity of each beam level can be determined. Beam capacity labels are always recommended, so there is no question what the capacity is for each beam level, as well as the entire bay. This type of pallet racking can be easily reconfigured as your needs change, however, it is always best to consult a material handling export when doing so, to make sure that the new configuration is still structurally sound and meets all weight capacity requirements. 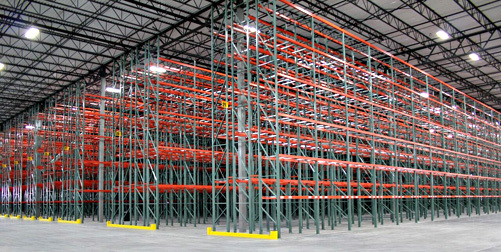 Structural pallet racking offers optimal storage for facilities with fast-paced loading and retrieval demands. High volume storage units, like cold storage facilities, beverage distributors etc., as well as facilities that deal with heavy loads, can benefit from structural pallet racks. Structural rack is made of hot rolled heavy channel steel, which is able to provide higher load capacities and withstand harsher conditions such as impact from forklifts. The beams are bolted to the uprights to provide added stability. Structural racks work well for selective, flow, pushback, cantilever, drive-in as well as drive-thru racking systems. 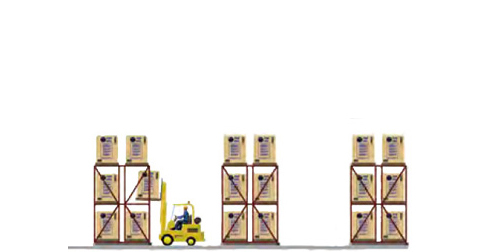 Roll-formed pallet racking is ideal for storing lighter weight products and not so harsh forklift interaction. Perfect for retail stores, commercial and industrial warehouses, these racks allow storage of seasonal products and pallets of varying sizes. Their flexibility and adaptability gives these racks an advantage over others. 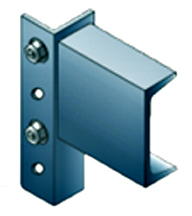 Roll formed racks are made from cold formed and is generally made from lighter gauge steel with boltless beam pin connectors. 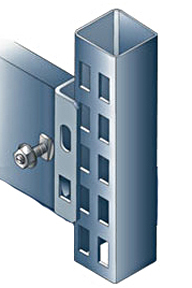 Beams can be easily attached to uprights without any nuts and bolts, but rather with safety locks. They are however, less expensive, and require less time to install. Structural pallet racks have welded connections making the structure stronger than roll-formed racks. Roll-formed racks are easy to install, reconfigure, relocate. Many available accessories make them more flexible. 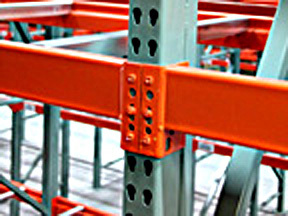 Structural racks are slower and more costly to install, but are more durable. 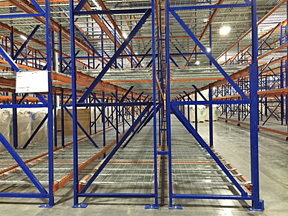 Structural racks are generally more expensive than rolled form, but can hold heavier loads. Structural racks have higher capacity than roll formed racks. Roll formed pallet racking is more susceptible to damage from forklift impacts as they are generally made from lighter gauge steel. 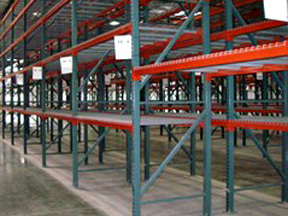 Structural racks perform better in harsh conditions like outdoor and cold storage units. 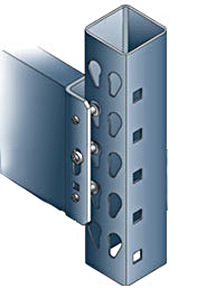 Structural rack is easier to wash down, due to its c-channel construction. Based on this comparison, choose the system that suits your warehouse needs better.